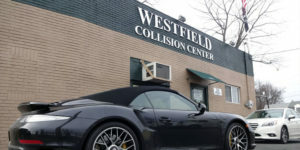 Collision Repair Experts Serving Westfield for Over 20 Years! Collision repair is one of the most common—yet unexpected—expenses for any household. It’s in these moments that you need a collision repair service that you can rely on. 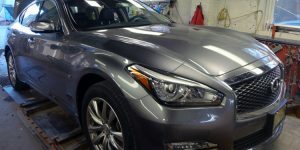 Your collision repair center should be able to service all vehicle makes and models, fully update you at each step of the repair process, and provide accurate collision repair estimates with thorough repair work done on time. However, more than anything, your collision repair center should offer you convenience and professionalism during your difficult time and value the trust you give them. Why Trust Westfield Collision Center with Your Collision Repairs? 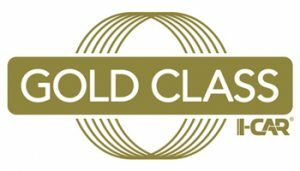 Since 1996, Westfield Collision Center has served the North Jersey area, providing high-quality, reliable collision repair and refinishing services backed with warranties. Our staff knows that collision repair can be an unexpected event that creates enough stress as it is. Not only will we help try to work with your budget for collision repairs and give accurate collision repair estimates, but we can also negotiate with your insurance company to make sure you get quality collision repair. No matter your vehicle’s make or model, your car collision repairs will be completed by our experienced I-Car certified technicians using the soundest industry practices and state of the art collision repair equipment. Over the years, we have assisted many customers in getting their vehicles back on the road from collisions. So, whether you need suspension repair, welding or auto body repairs, you can be sure our collision center staff will do everything we can to earn your trust and restore your vehicle quickly as possible. How long will the car collision repair process be? If you’ve been in a collision, your vehicle may be damaged in a variety of ways. If you would like repaired by the very best in the business, call Westfield Collision Center today to get your free estimate. Our team works with New Jersey’s leading insurance providers to complete a free estimate and accurately assess any damage before we begin making repairs. 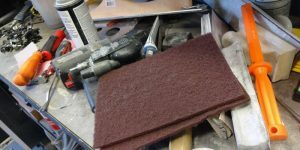 How does the collision repair process work? 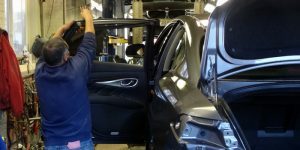 At Westfield Collision Center, we believe in complete transparency throughout the collision repair process to help give you the best estimates of time and cost. We will fully assess any damage to your vehicle, provide an accurate collision repair estimate, and work with you and your insurer to get approval for your repairs at a cost that is fair. After evaluation and approval for repairs, we can perform body and structural repair work by removing all parts requiring separate repair or replacement. After numerous quality control inspections in the body shop, we begin the paint and polish process using computer technology to find the exact color match based on manufacturer codes. Back at the body shop, our team will reassemble your vehicle with lamps, air conditioning, doors, and other parts involved in your collision repair. Once your vehicle is reassembled, cleaned and put through final quality inspection, our team will go over the complete list of repairs and make sure our work has your approval. How much does auto body collision repair cost? The cost of collision repairs usually depends on the damage incurred from your collision, which we can better assess with more information. Depending on the parts required for your repair, costs can vary. Some cases may only require paintless dent repair, while others may need extensive framework repairs. In some cases, electrical components of a vehicle are damaged in a collision as well, which can be costly. However, our collision repair specialists will work with you to give you a better estimate of your damage. We are on-call to field your questions. You can get started with your free car repair estimate by filling in the form below.